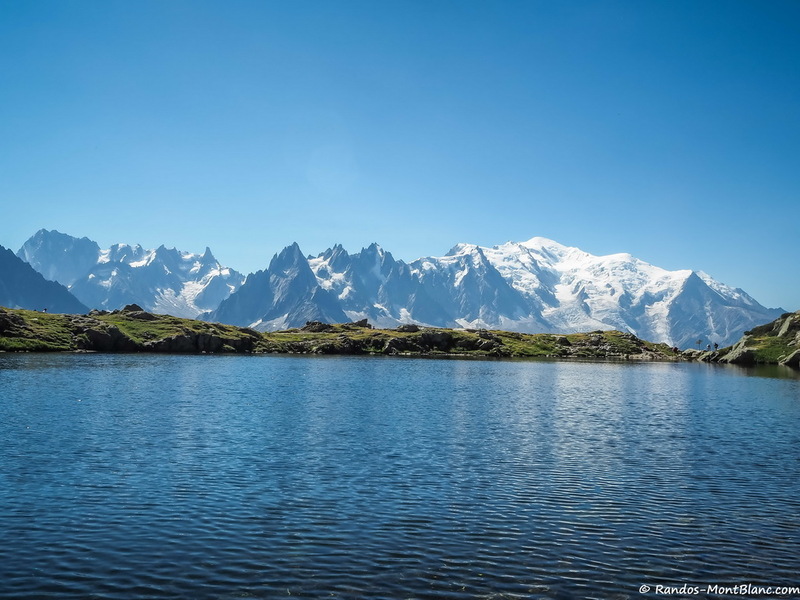 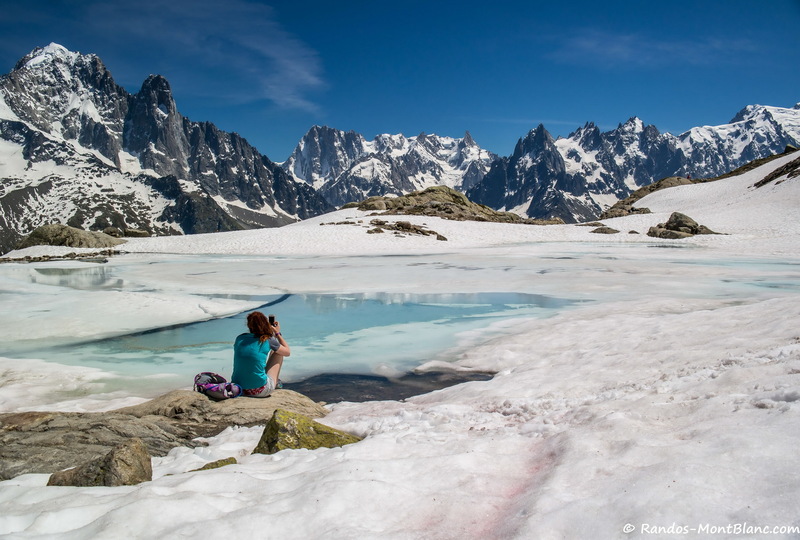 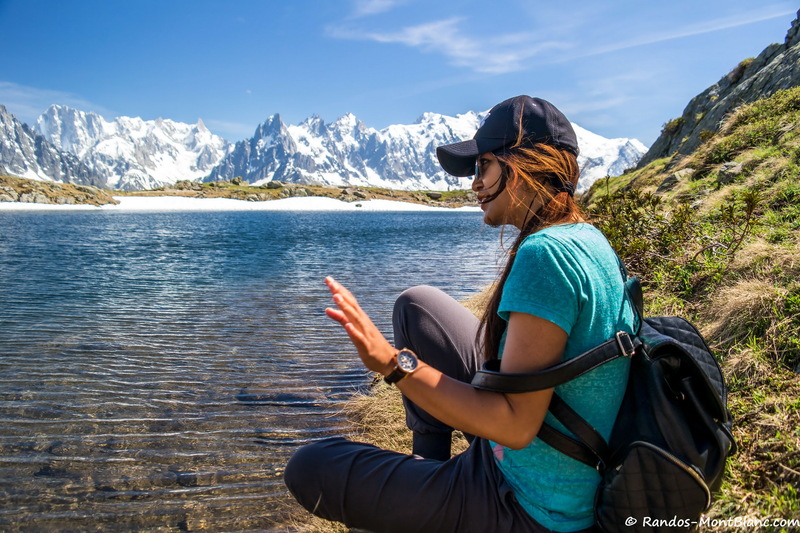 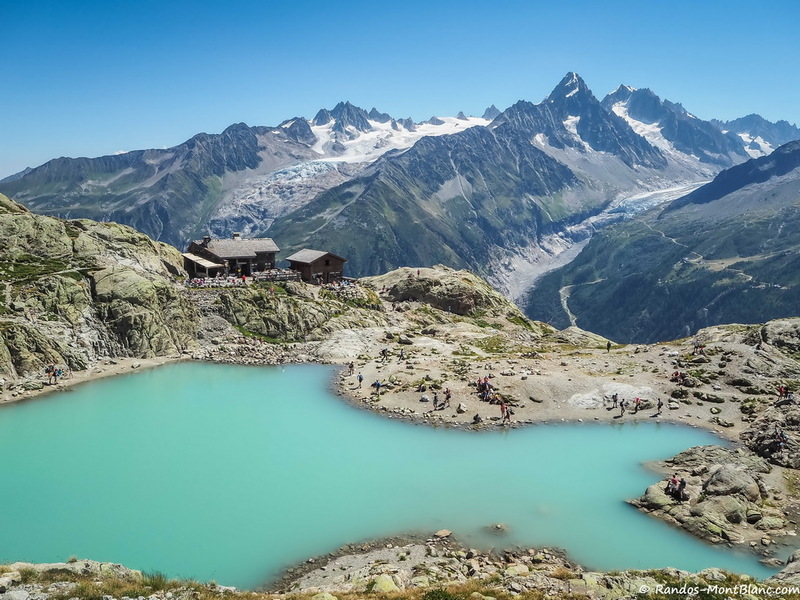 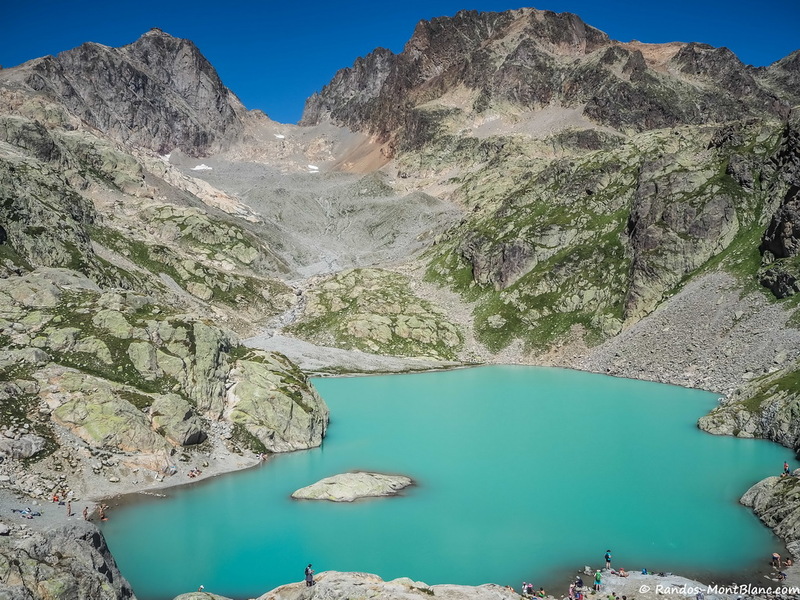 Must-see in the Chamonix Valley, Lac Blanc exhibits an unforgettable panorama on the Mont Blanc Massif. 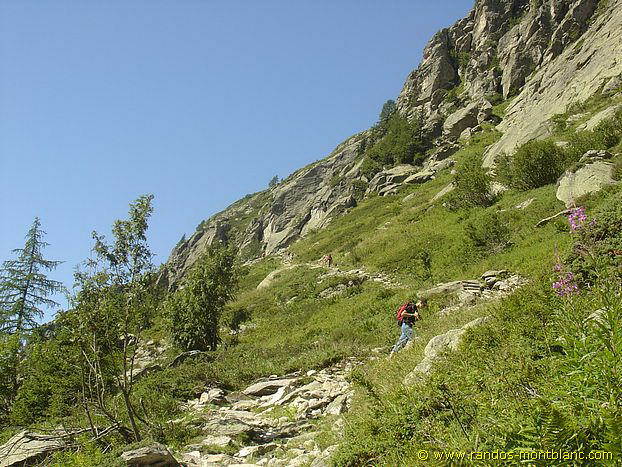 The itinerary described here offers a much more bucolic setting than the alternative route by the Flégère. 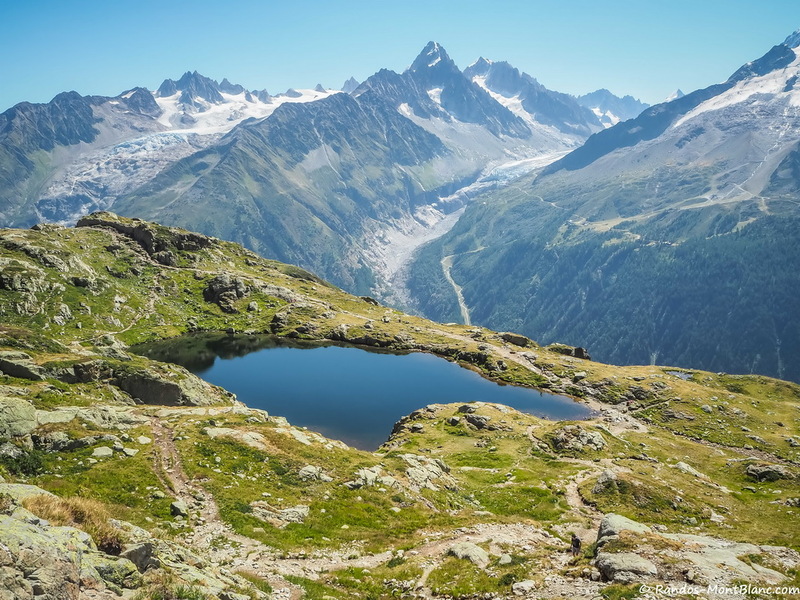 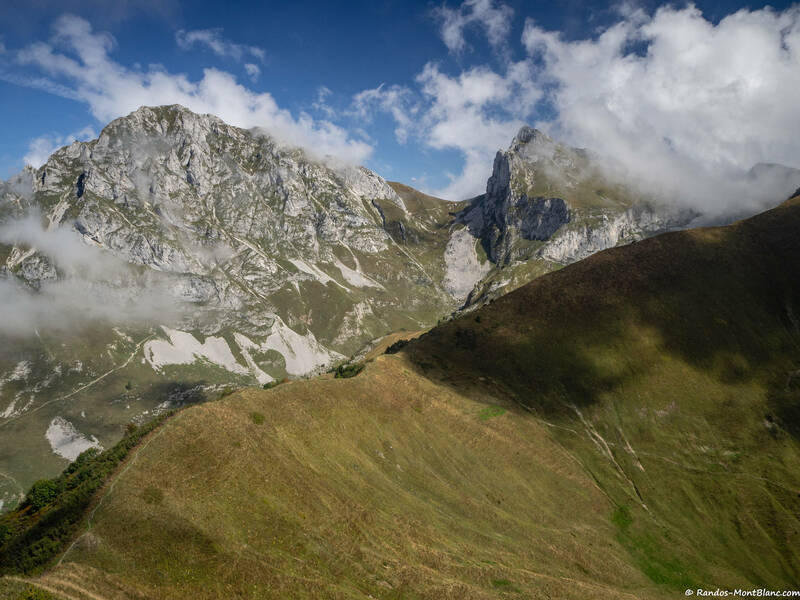 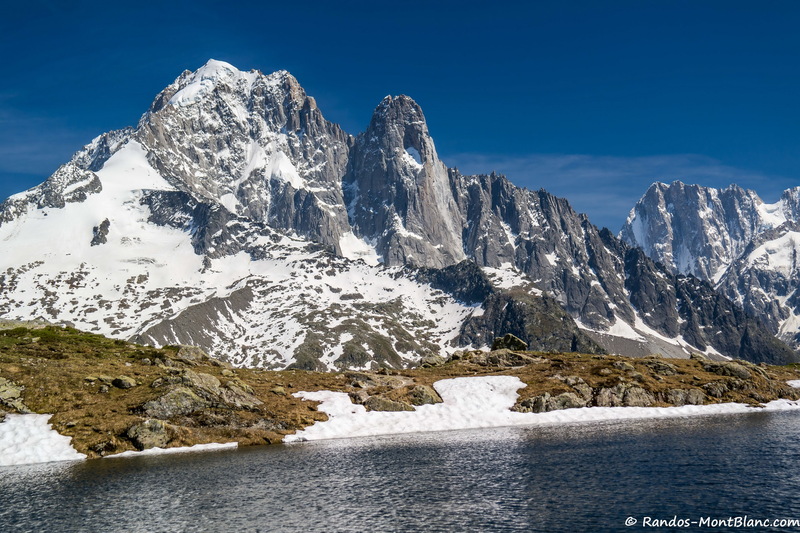 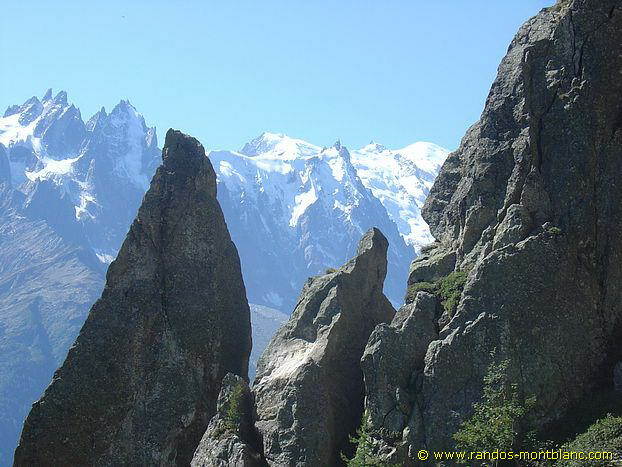 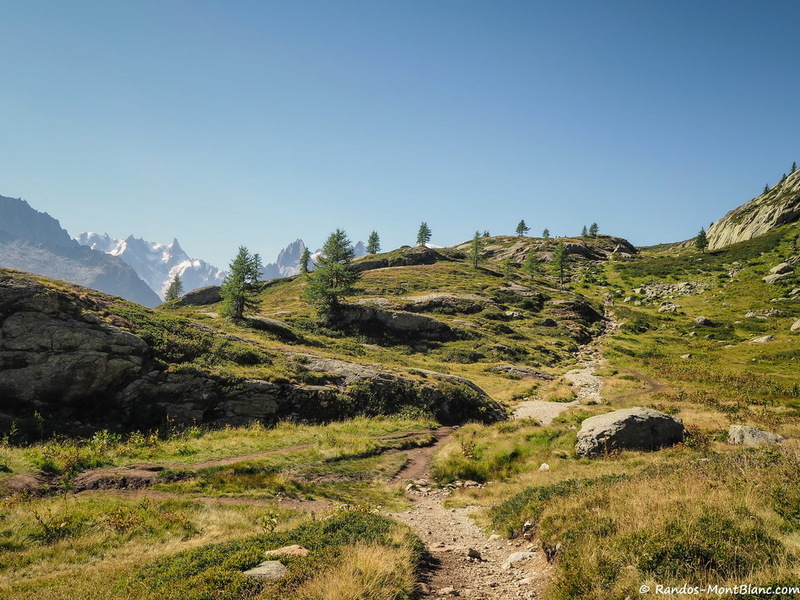 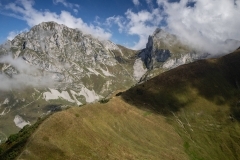 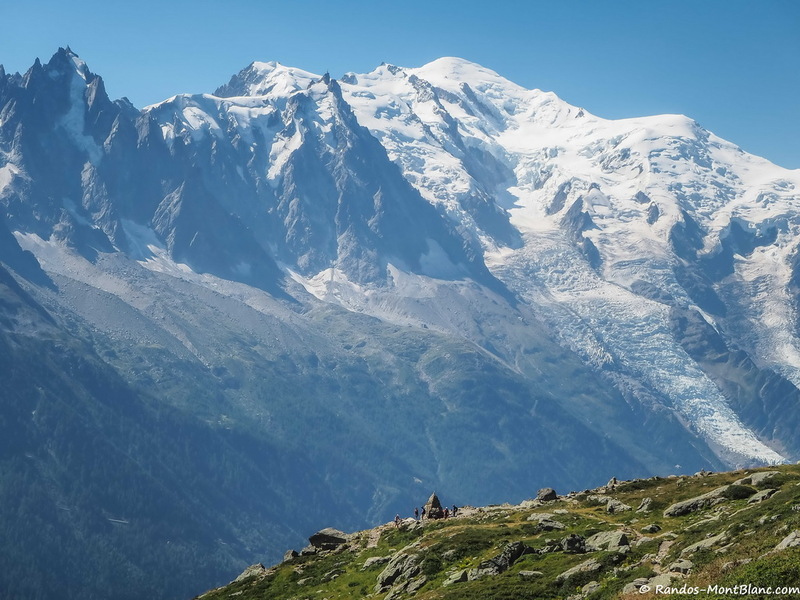 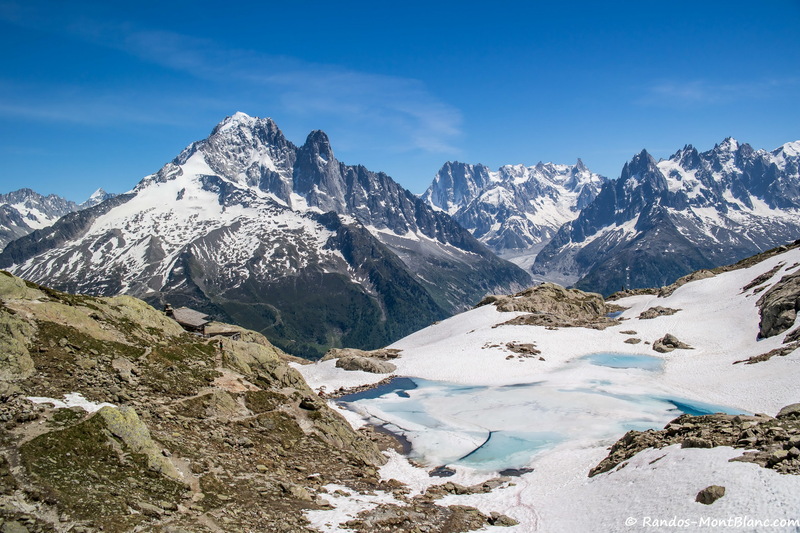 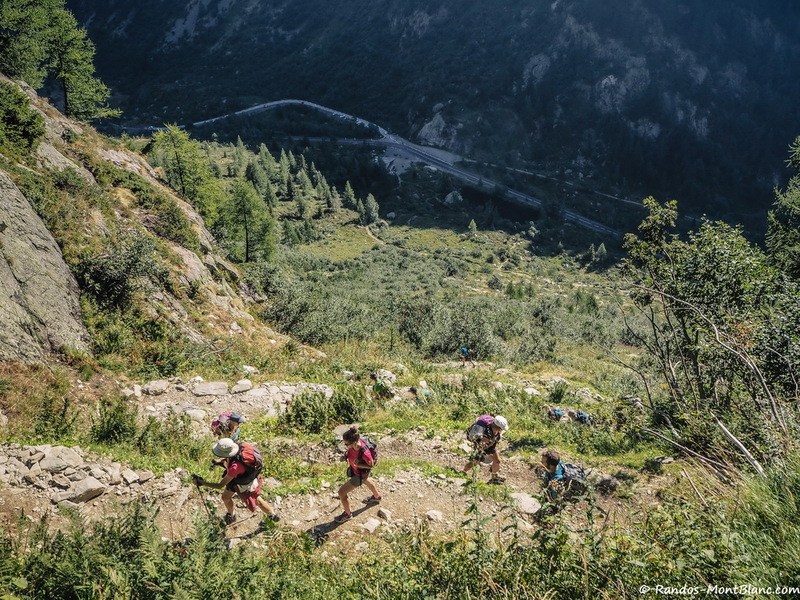 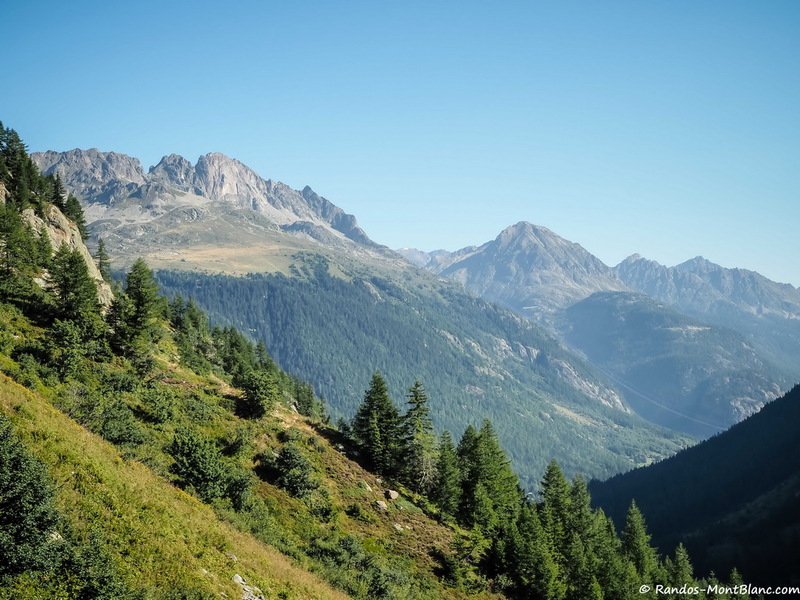 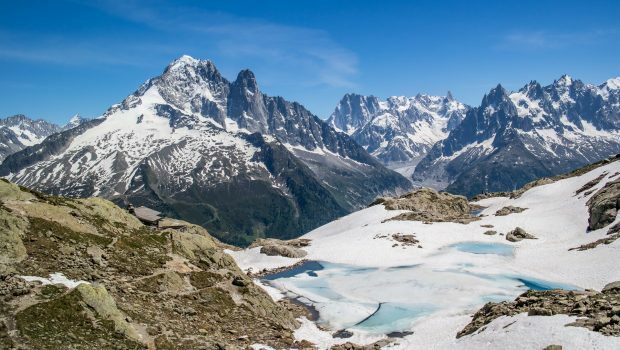 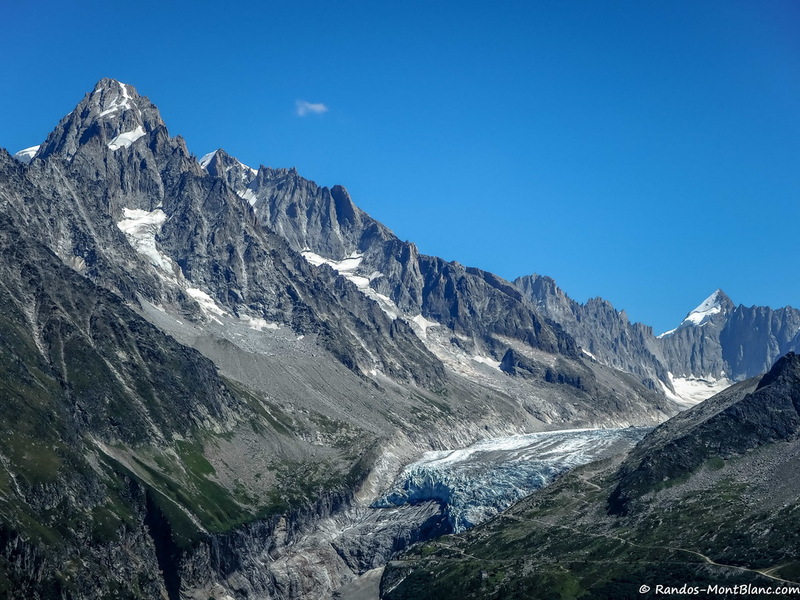 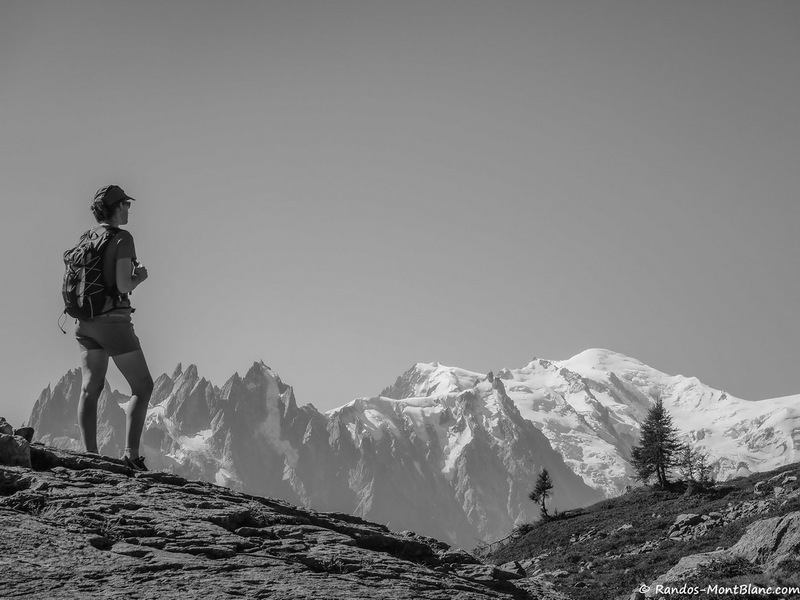 Two routes are possible: either the trail of the Col des Montets which allows taking the Grand Balcon Sud or the one of Tré-le-Champ passing by a series of ladders near the imposing Aiguillette d’Argentière. 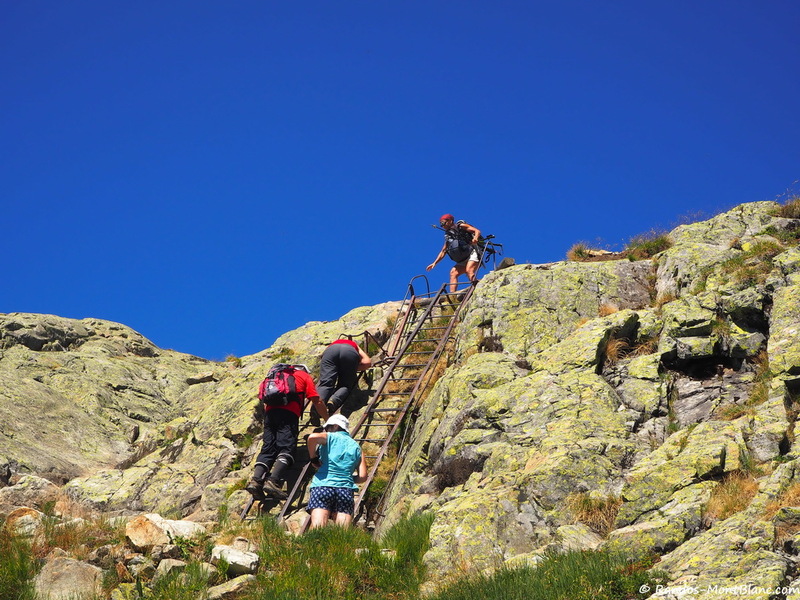 The passage of the ladders spices things up a little, but remains without risk: the access is totally secured. 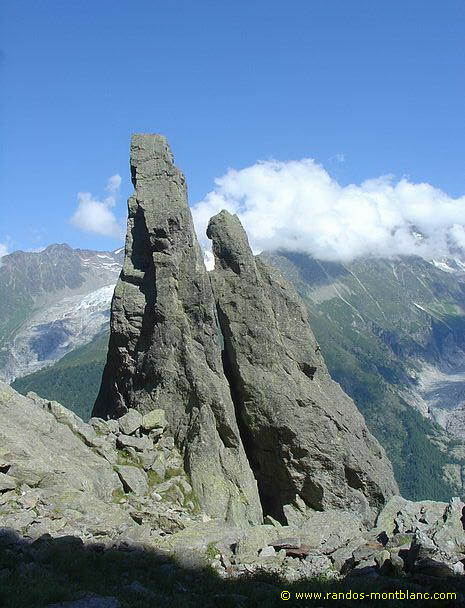 However, they can prove to be insurmountable for people who are afraid of heights. 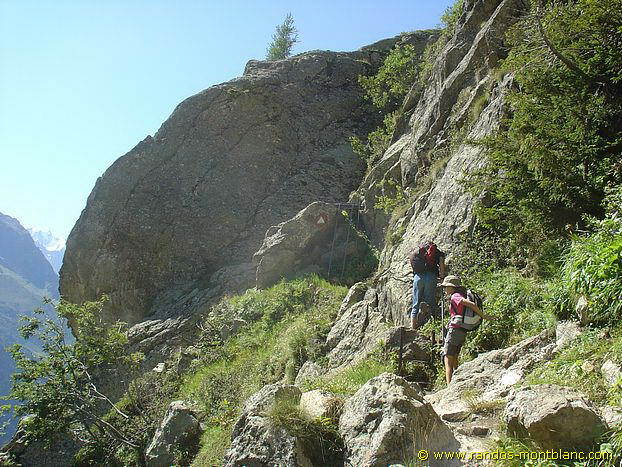 Moreover, a very short passage of two meters obliges to walk along the cliff on the edge of a ridge also safe, but 50 m above the ground. 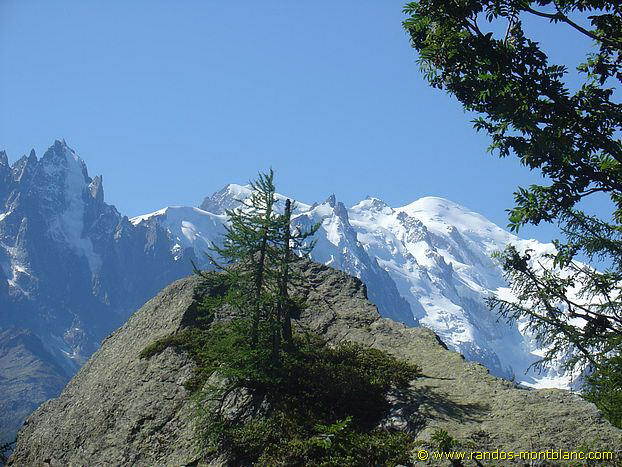 Reach Chamonix, then follow signs for Argentière. 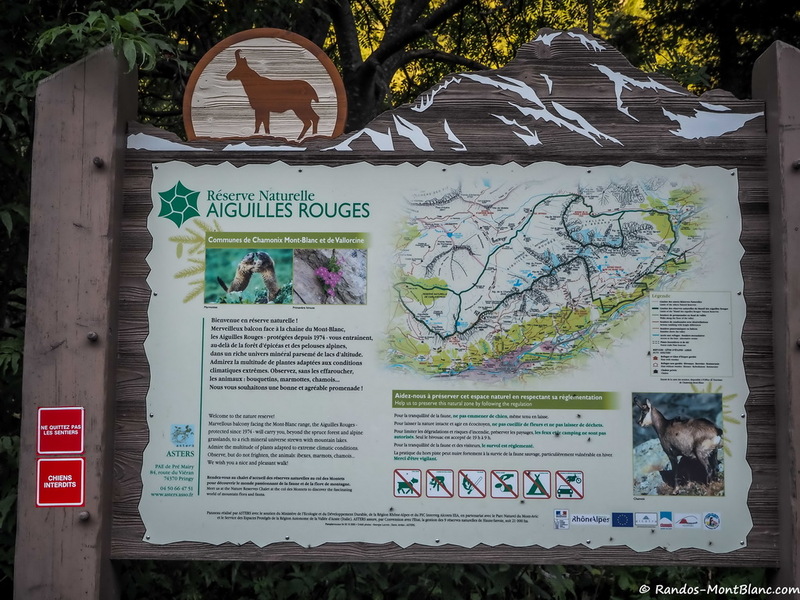 After passing Argentière, continue the N 506 road to park either at the Tré-le-Champ car park or the Col des Montets, about 500 meters after Tré-le-Champ. 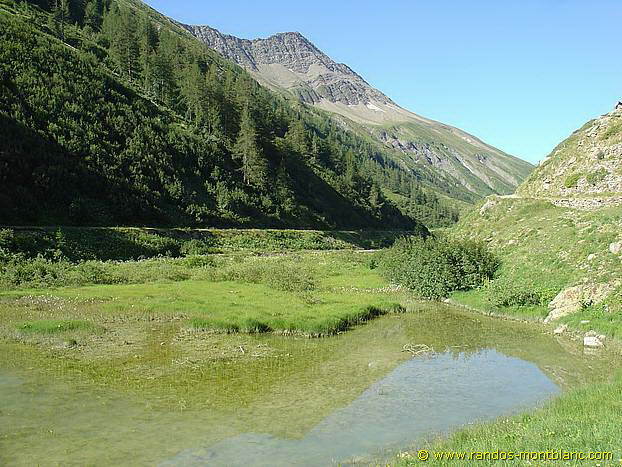 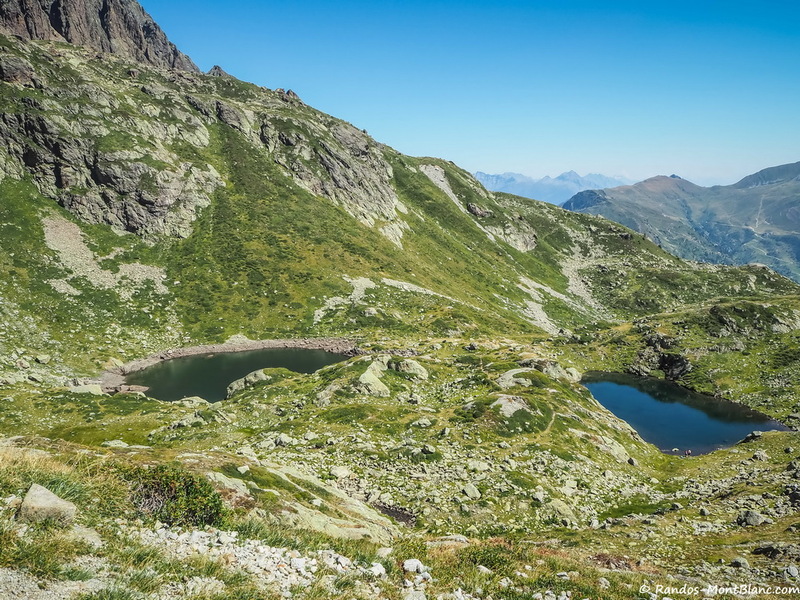 At Tré-le-Champ car park, take the “Lac Blanc 2h45” path that goes into the forest. 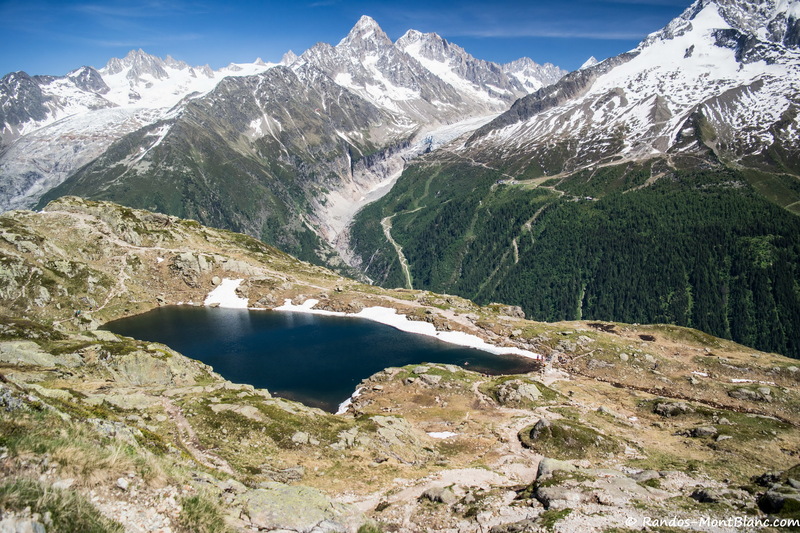 After a long series of switchbacks, follow the direction of Lac Blanc at the sign. 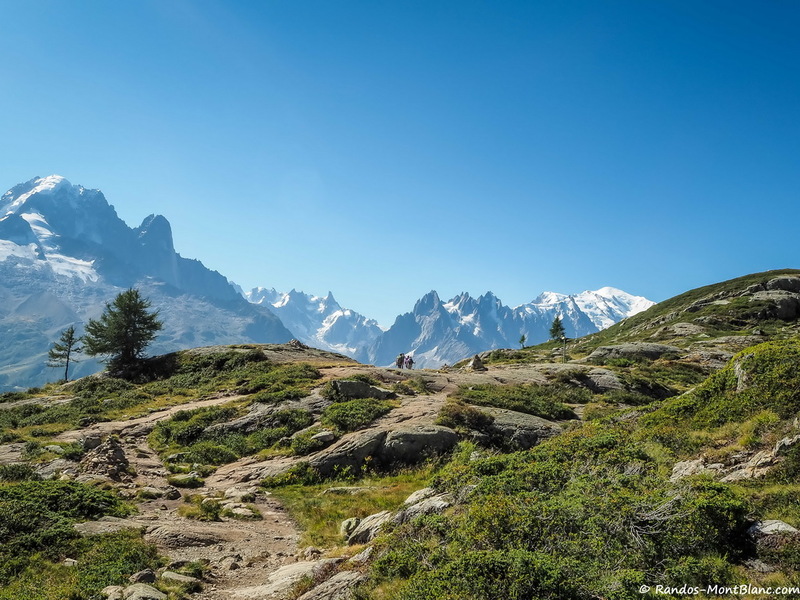 After a new series of switchbacks, the path leads to the imposing Aiguillette d’Argentière. 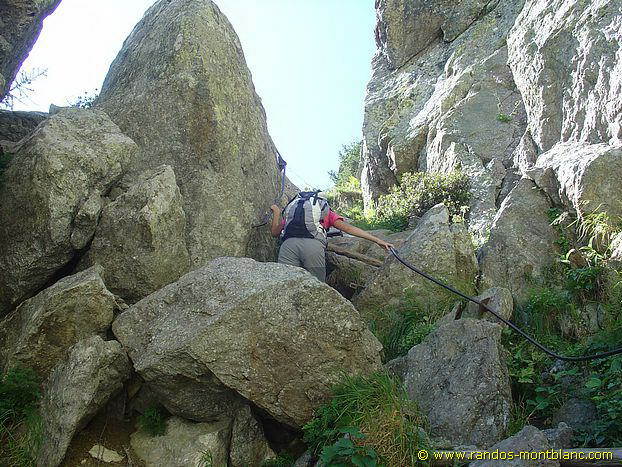 It will be necessary to climb with caution the ladders fixed to the rock walls; Don’t worry, the ladders are not exposed to the heights. 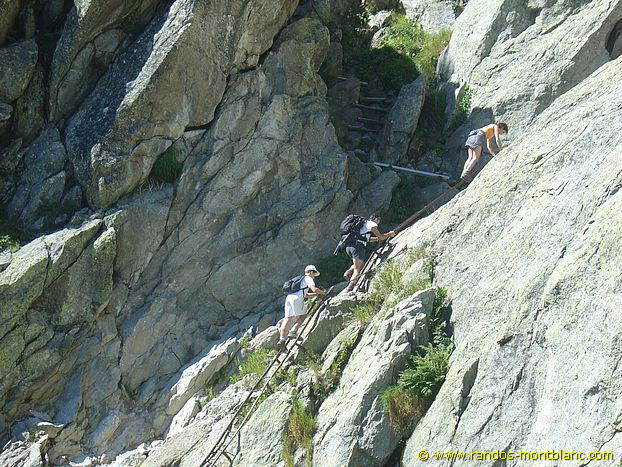 It’s only the passage on the ridge that requires more attention. 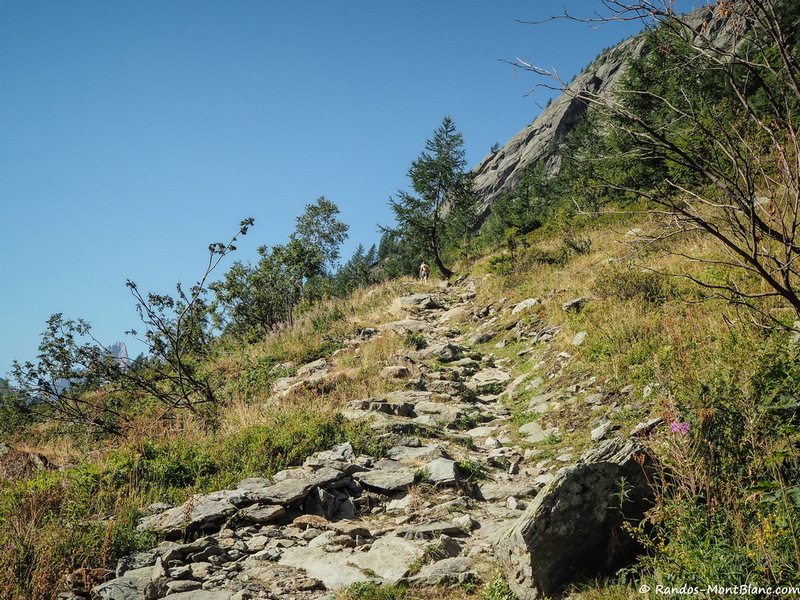 After this little escapade, continue the trail describing switchbacks until arriving at a relatively massive cairn with signs. 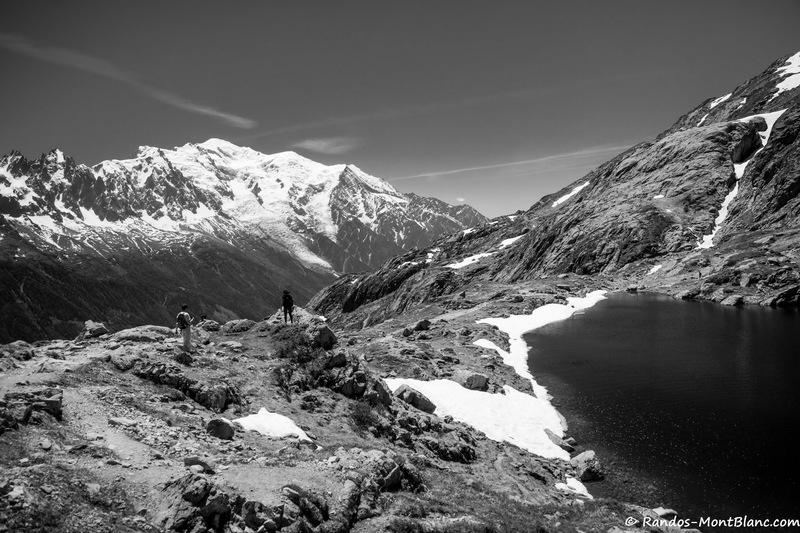 Continue towards Lac Blanc. 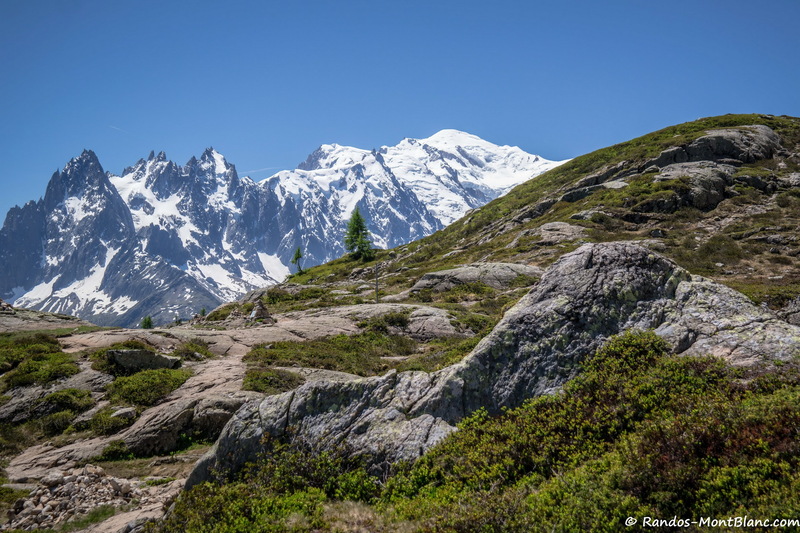 The track will pass near Lacs des Chéserys: do not hesitate to stop there to admire the panorama on the Mont Blanc Massif. 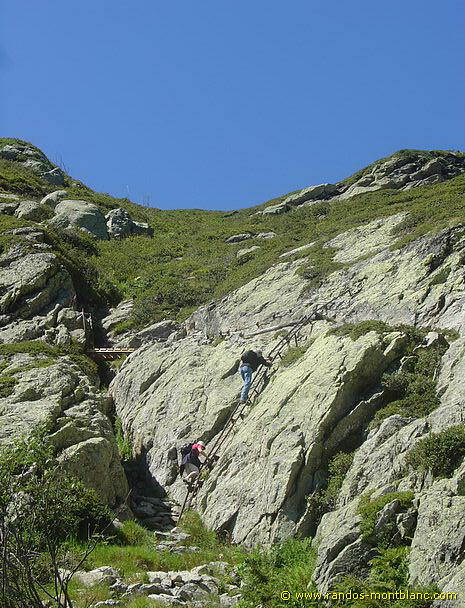 Further on, the pathway invites to climb a final secure ladder. 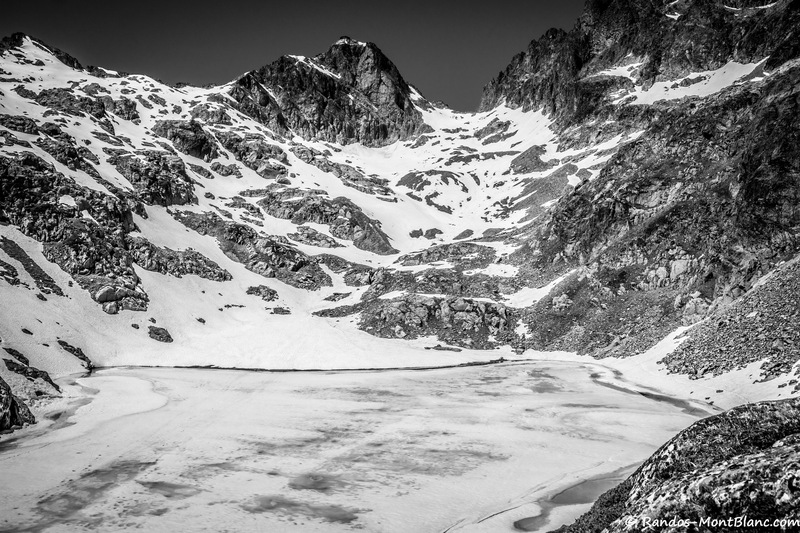 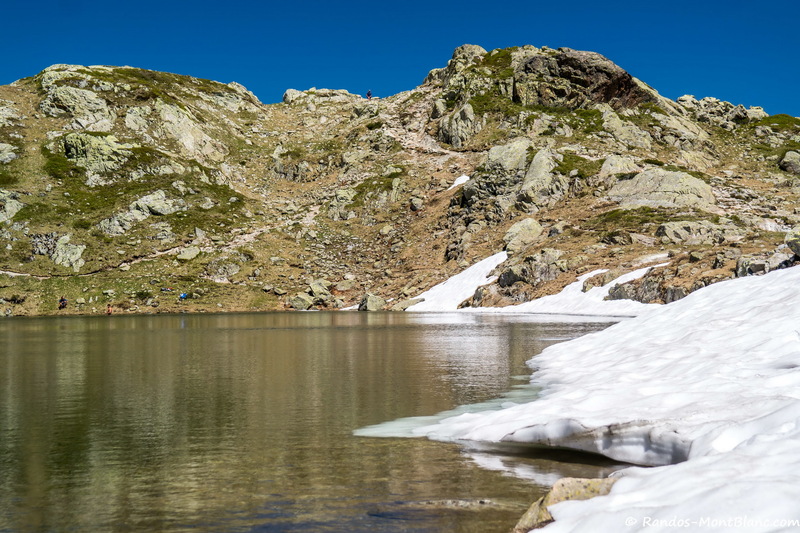 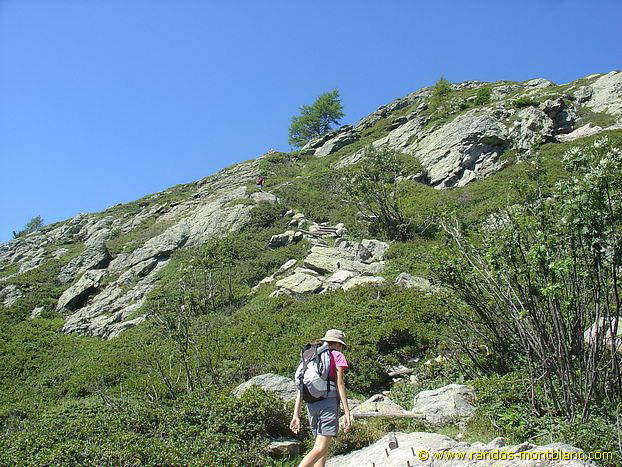 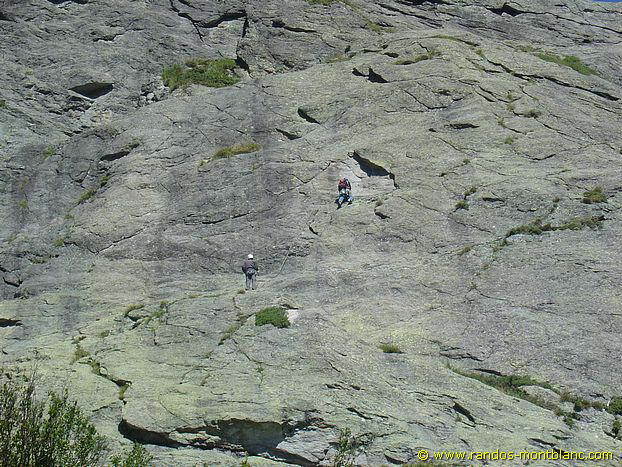 A final climb into wide blocks of rocks will allow you to reach the Chalet of Lac Blanc and the lake itself. 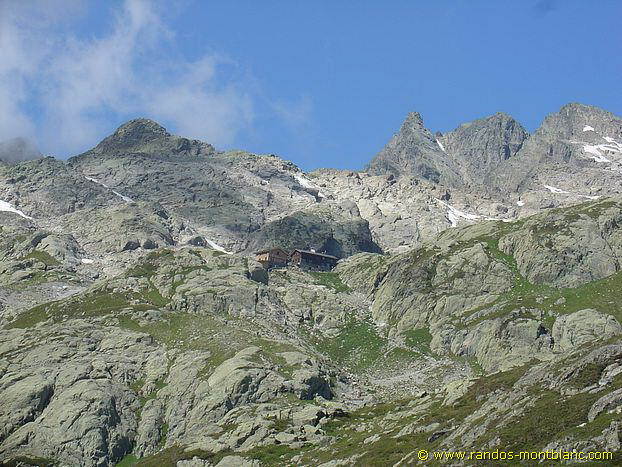 From the car park of the Chalet d’Accueil de la Réserve, take the path rising steeply up the slope. 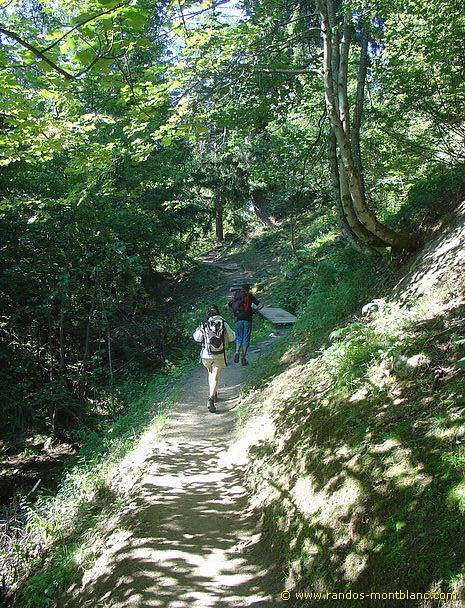 Shortly after, the footpath reaches another track starting from Tré-le-Champ. 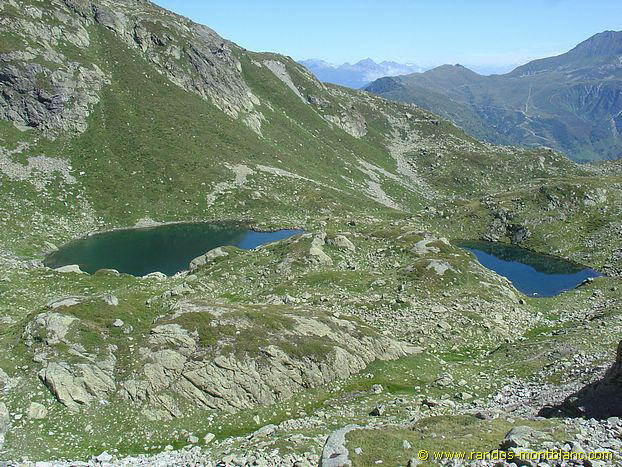 After turning to the right to follow the direction of Lac Blanc, the ascent is done by short switchbacks. 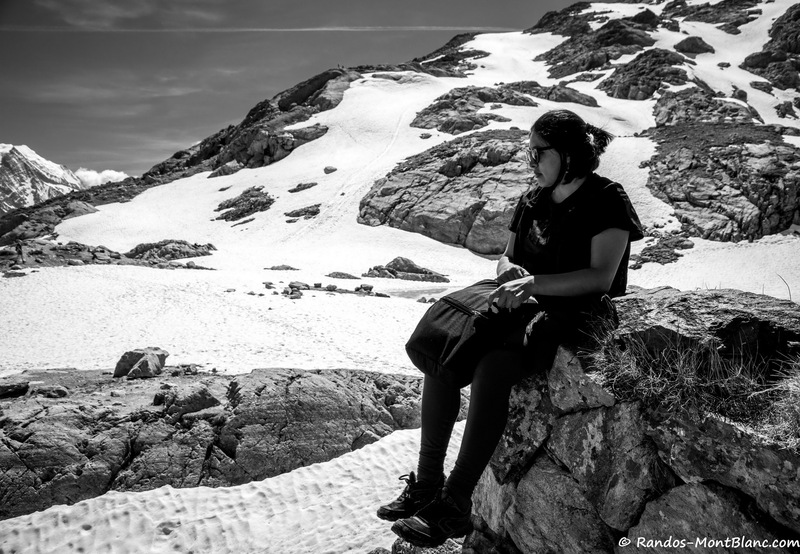 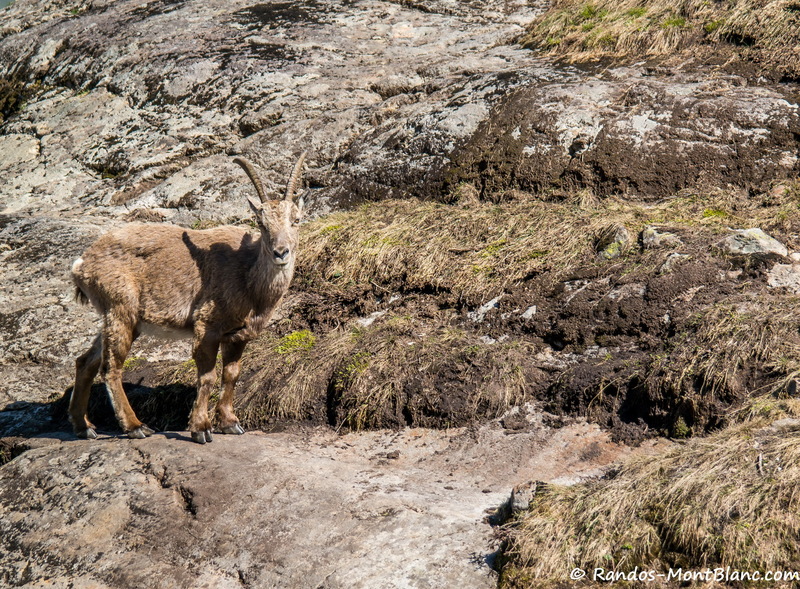 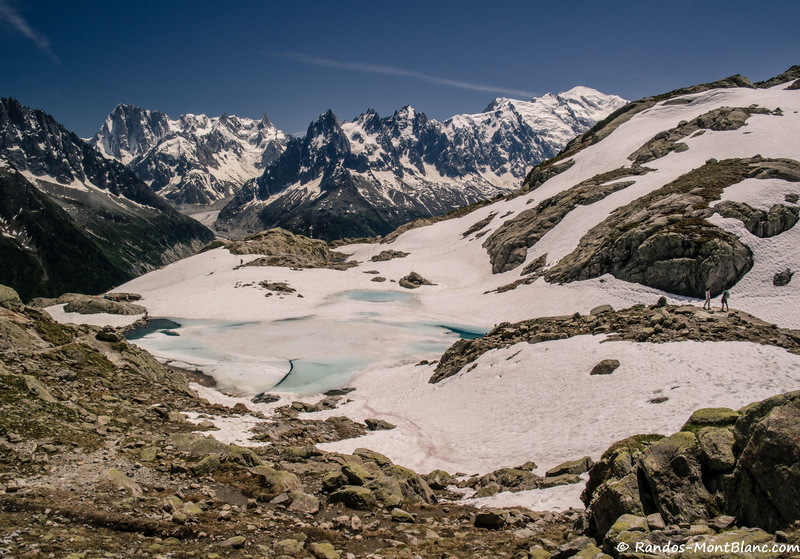 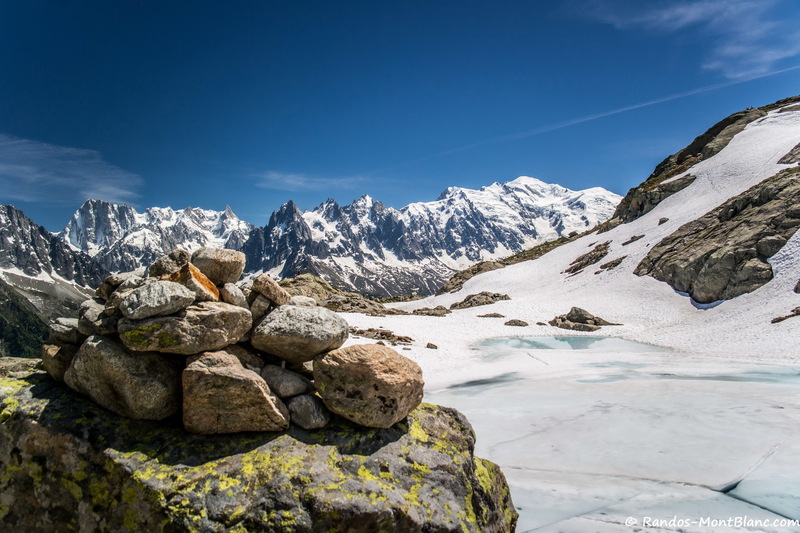 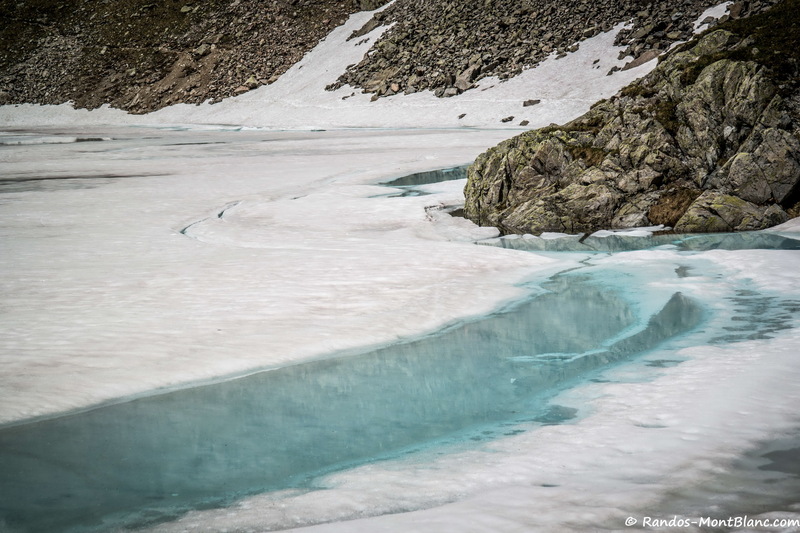 A little further, you reach a promontory overlooking the Argentière Glacier. 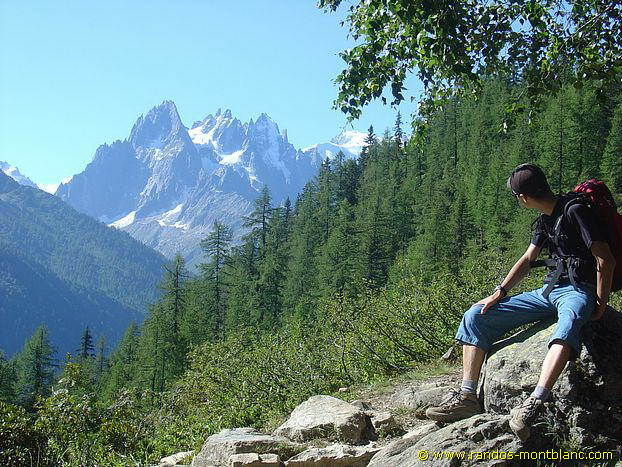 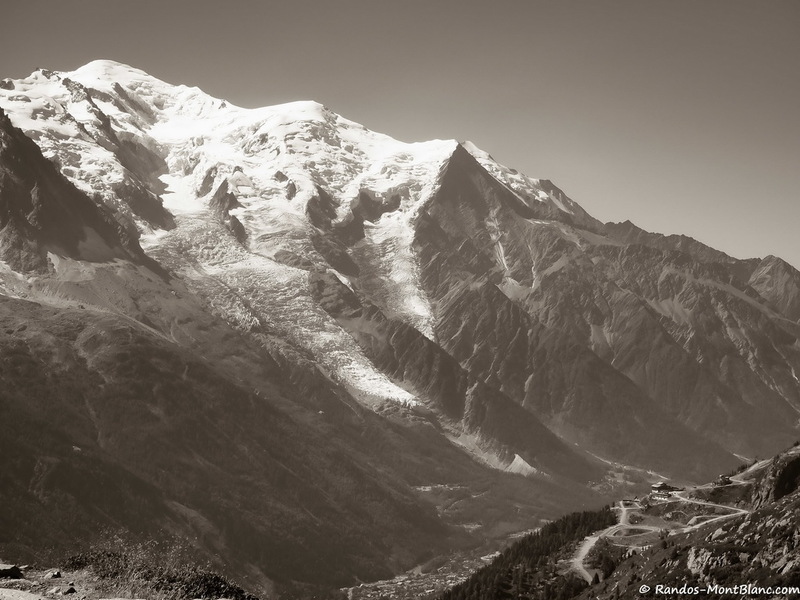 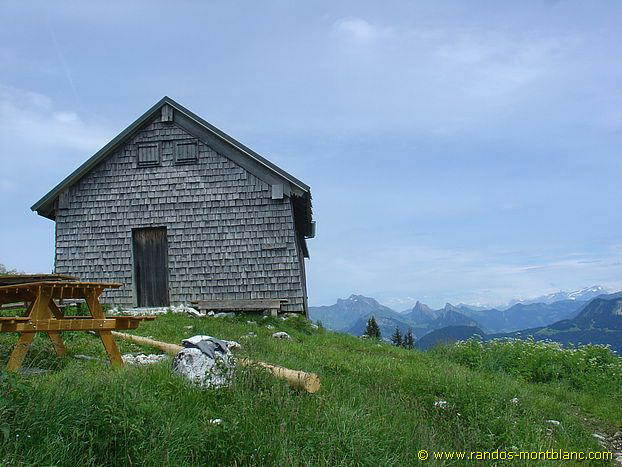 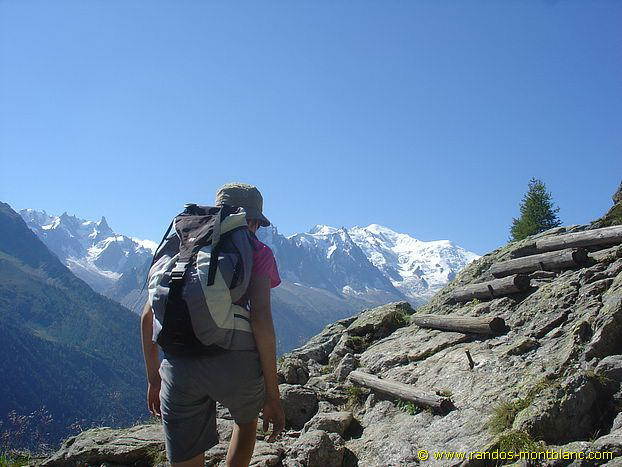 The trail continues along the grassy slope and finally leads to a plateau where you can admire the Mont Blanc Massif. 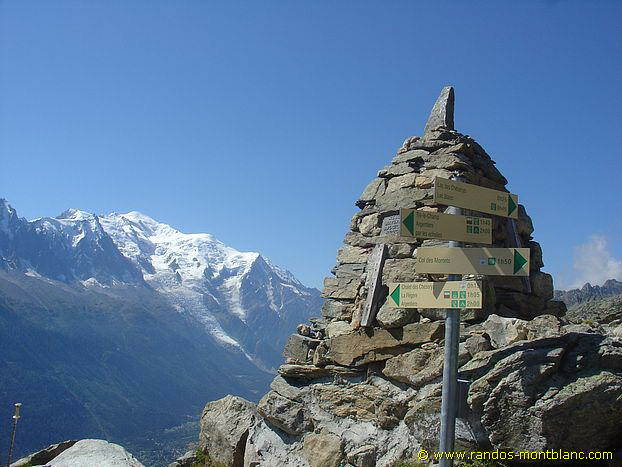 The road marked out by cairns, reaches Tré-le-Champ’s path at Lacs des Chéserys. 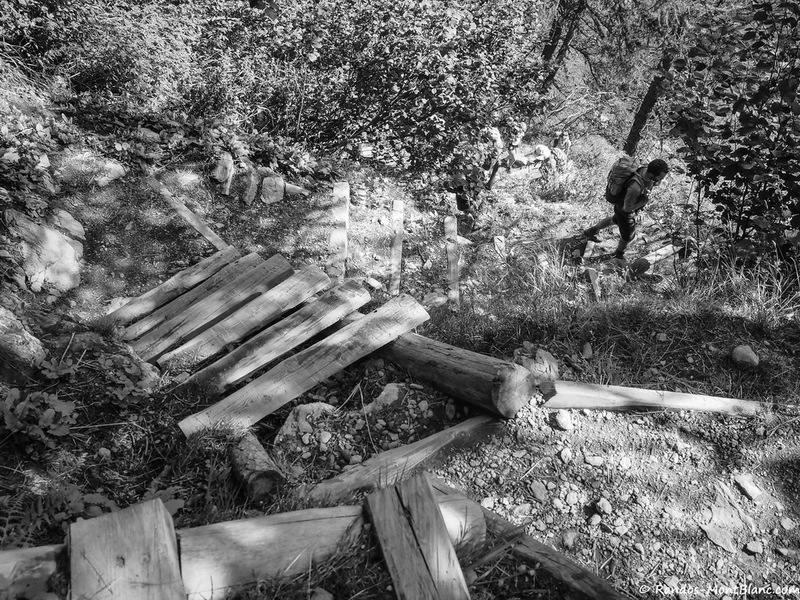 Take the same footway as described above. 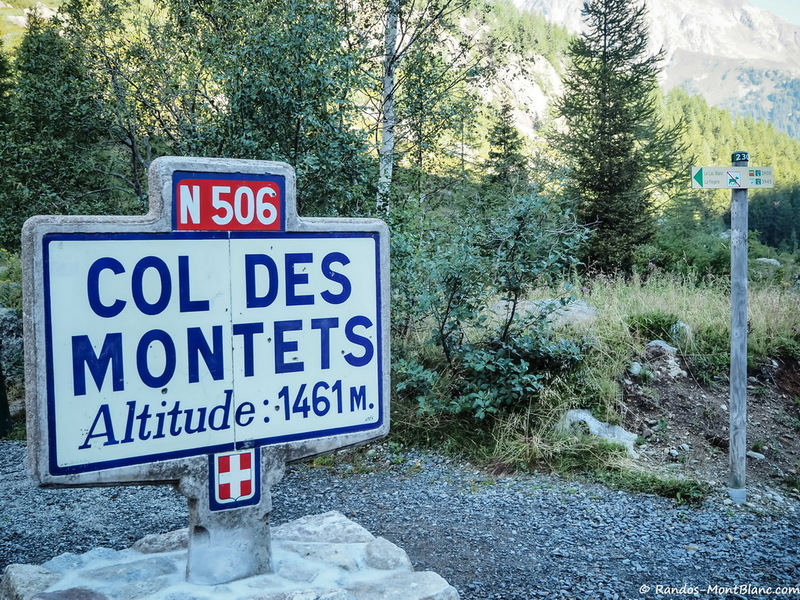 Note that it’s possible to descend via the road to the opposite alternative route, their car parks being 600 m distant.